Do you ever get the feeling that you want to just cut off someone's hair and put it on your head? Yeah, me too. It's totes normal. I can't look at pictures of Lauren Conrad, the Olsen twins, or any pinterest princess with luscious locks without getting serious hair envy. I believe that your mane says a lot about yourself, and it is worth the slightly high cost of the hair products that help you define the 'do. I have tested the waters when it comes to different styling products, & I made a list of my top five. Most of these are friendly to all hair types and can be found while splurgin' at sephora. 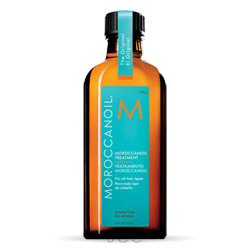 Moroccan Oil has been my partner in crime for over a year now. This is the only product of the five that I put in my hair every single day. It leaves your hair with a silky finish and has helped with my split ends. Also it always makes sure to leave my hair shinin' bright like a diamond. 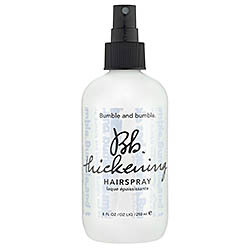 I have never really been a hairspray kinda girl, but once I started using Bumble & Bumble's Thickening Hairspray, that quickly changed. It holds my waves in place without the crunchy feel, while adding volume without the bump it look. 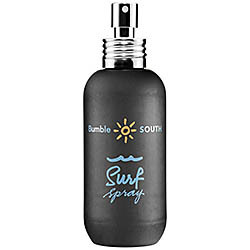 I gave up straightening my hair this year and have gotten super tight with Bumble & Bumble's Surf Spray. I can now leave my apartment with wet hair after a few sprays of this guy. It gives my hair the "I just walked out of the ocean" kinda look and helps me out on days I am running late. Not only is the drybar the best place on earth, but their new lines of products are the bomb. 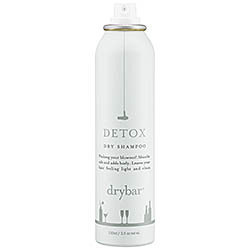 Everyone needs a good bottle of dry shampoo for the days you don't have time to shower, or are too hungover to do so. I think I worship Josie Maran. She has got it going on. Her Argan Hair Mist is the perfect way to get your hair looking like a Free People model. Not to mention, her Argan Oil is the best moisturizer. 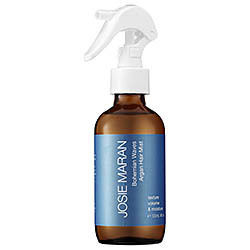 Instead of using heat on your hair, squirt the Maran mist.